Dude, that looks awesome. That first pic is perfect. Every time I see that color it makes me realize that it is my favorite color o these cars. Top looks good. I drop my top too much to ever go to a hardtop but the Z top looks great. I knew you would pop in here! Your car is one of the ones that made me so anxious to get mine put on! 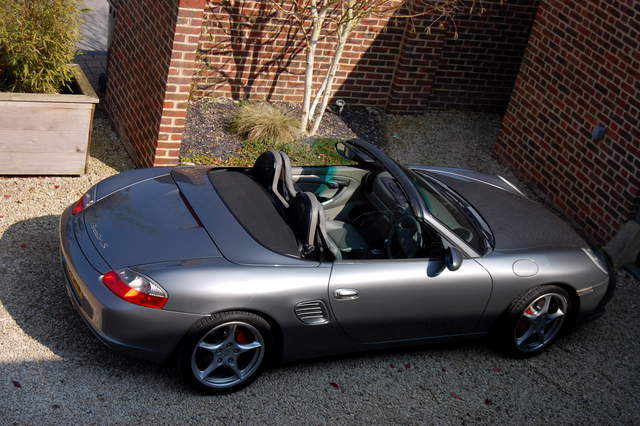 It is really very easy to pull on and off, I plan on switching between full boxster and "boxman" mode often. But it certainly doesn't make it a 12 second option. I couldn't pass on that lighting! I guess I should have added of it is even close to 50 degrees or higher I have the top down. Where I live that is about 80% of the time . No doubt about that. I have a 2009 R1 also but that is used for leisurely rides and when I have an itch for speed. That makes it alright to have a slower car again. I agree it is the best looking and functional way to have both . The wife has the family hauler but she enjoys the top down experience as much as I do. She doesn't ride on the bike so it satisfies her need also. It really looks great and if we had a longer or colder winter here I would probably do the same top. I completely agree with the cost because it is a hard to find item that looks great. I did the same thing when t came to a integrated taillight I had for my 08 R1. I paid a good deal of money for it but there literally were only about 10 of them in the world left. I made my money back and then some when I sold it. Sometimes there are some things worth the cost to have them. As long as they are in good shape and taken care of they do not depreciate in cost due to supply and demand. Would I spend the money on it personally? No, because the cost does not warrant the need for me specifically. Plus with all the hail we get here it would be trashed the first time I am caught out in a storm in the spring time here. Your car looks damn good though! 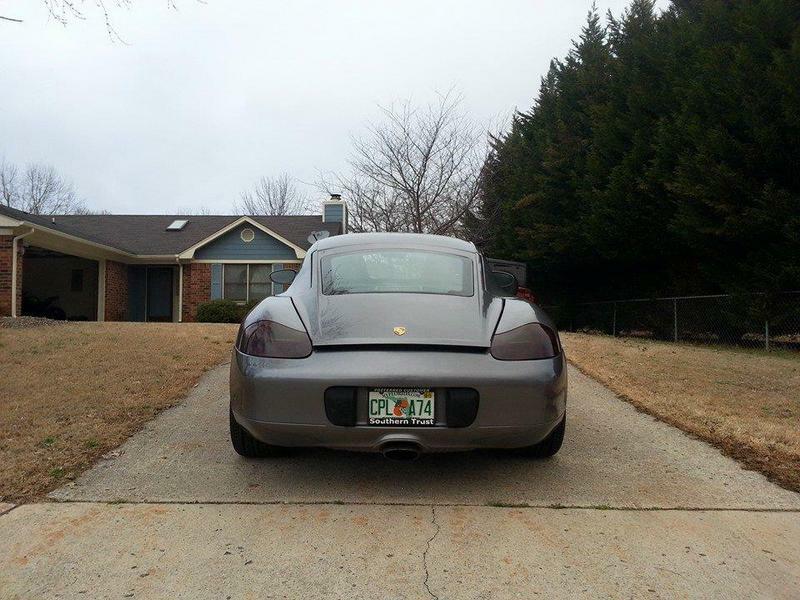 Did you wrap your taillights with film or did you use VHT smoke spray? Thanks for the kind words and I certainly understand its not for everyone. The headlights and taillights were done in film. VHT offers a smooth finish if done properly but if it needs to come off due to a ticket or any reason I would need all new lights and didn't want to risk it. Looking good! Did you add the emblem yourself? 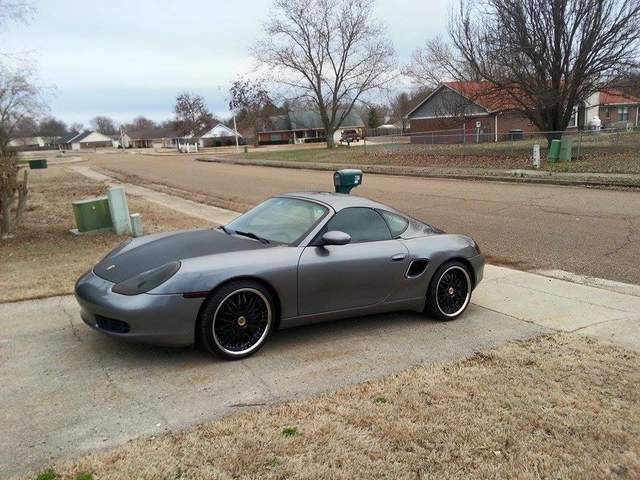 My "Porsche " added by the Porsche specialist. Oh no! It's coming right AT ME! Man that looks great. Totally transforms the car and makes it very modern looking. That looks great! How much are they? Is it fibreglass or steel? Just google MH Peize in the Netherlands! 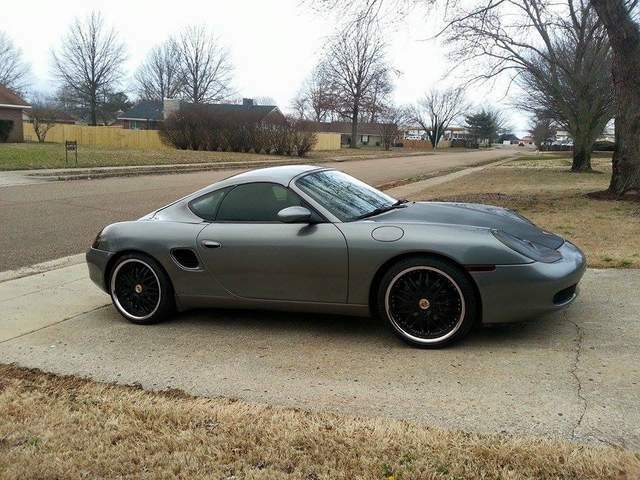 I want to share my boxster in "cayman look". 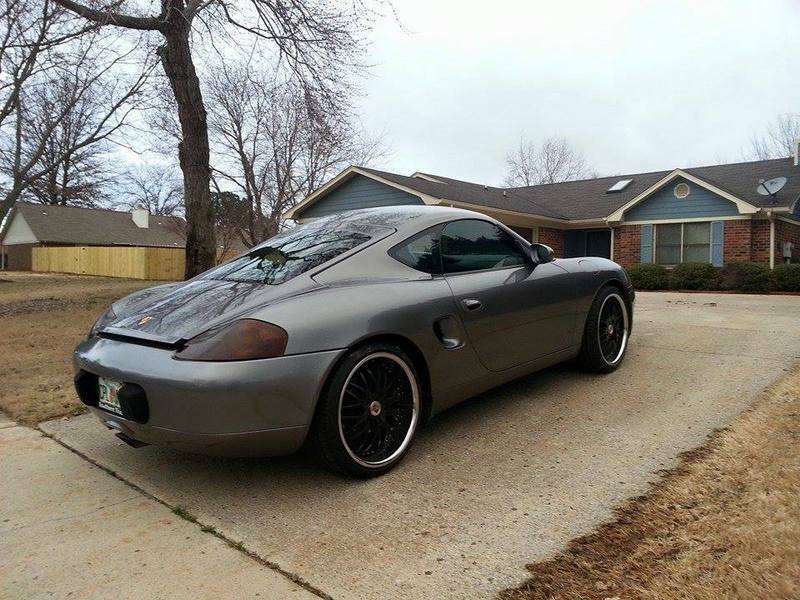 Two years ago I bought the hardtop cayman look. Today I picked up my boxster with the new "hand made" cayman front bumper. Probably the first one in the Netherlands! 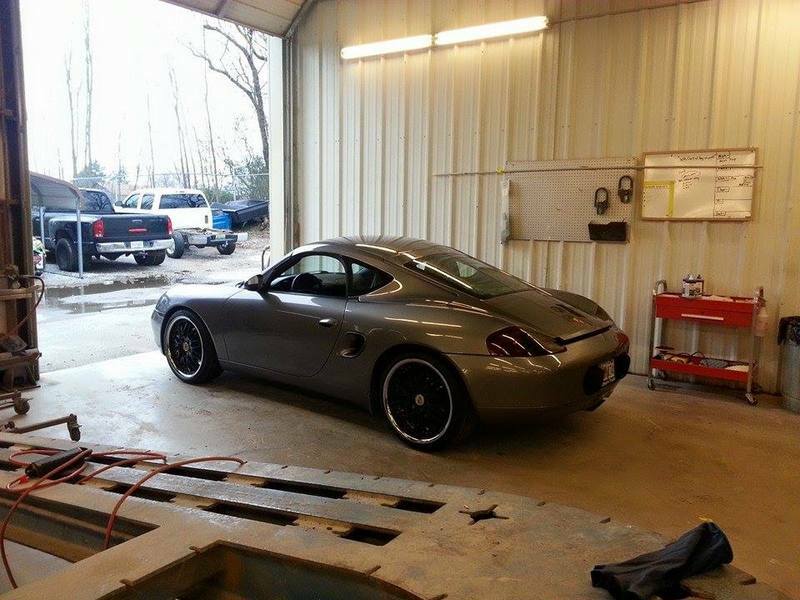 So it is a modded Cayman front bumper. How does it fit? Almost "plug-n-drive"?